This quilt has been in progress for what feels like forever, so I'm so excited to finally have a finish to share with you today! 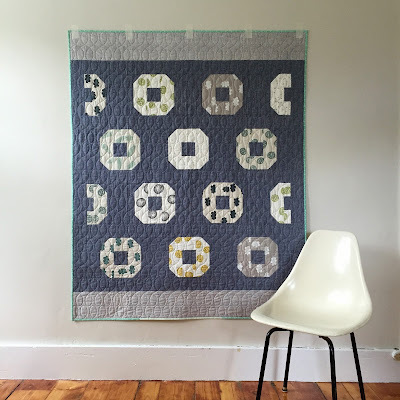 The Donuts quilt pattern has been on my mind ever since I saw Amanda's Donut Quilt back in 2013. I loved the whimsical nature of the design---donuts!---and the staggered layout, so I bought a copy of the quilt pattern from The Workroom. 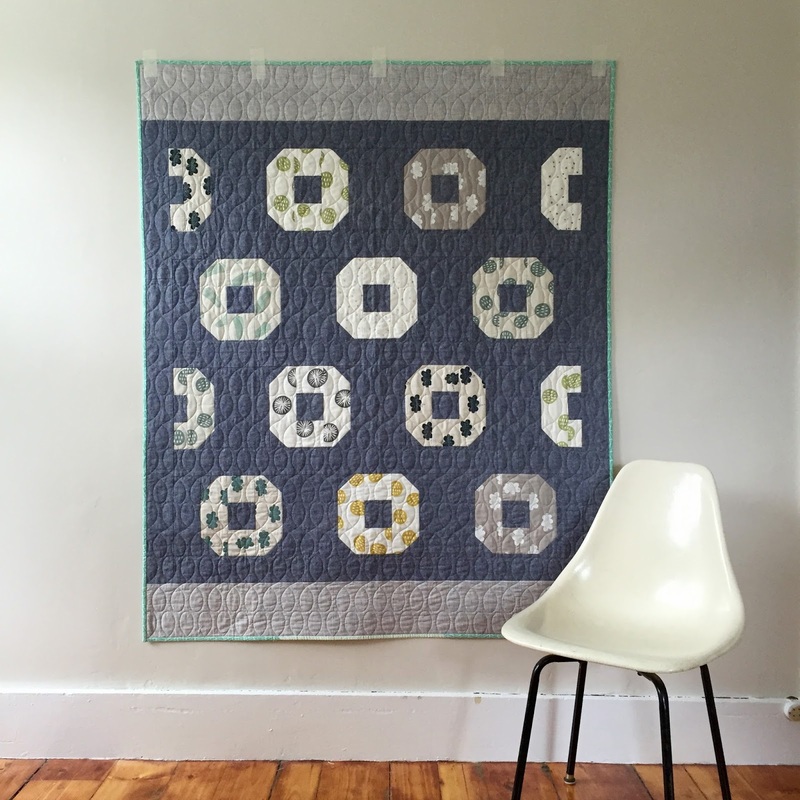 Knowing that this would be a quilt I would keep for myself, I chose to use a number of Maze & Vale panels that I'd been stockpiling for the donuts. 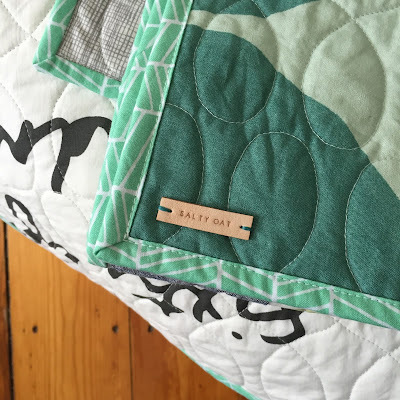 Leslie's fabrics are gorgeous, and I was excited to sew with them and finally include them in a quilt. 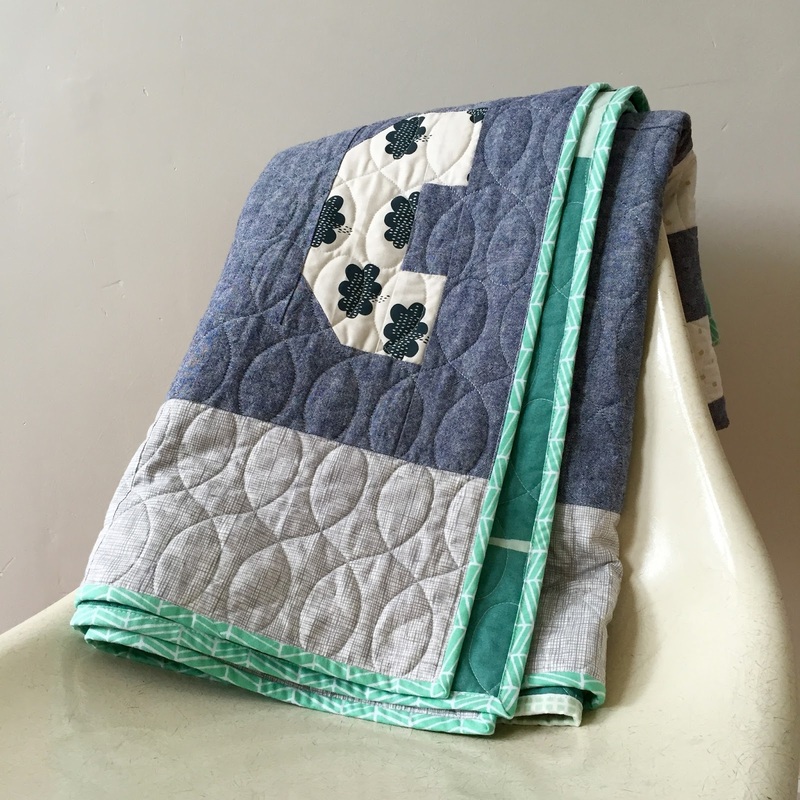 I used a blue Essex linen for the background, which paired beautifully with the screen-printed fabrics. 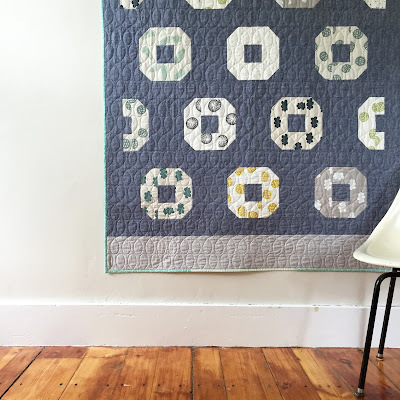 According to Instagram, I made the blocks for this quilt a year ago. I recently had a quilt to send off to Crinklelove for quilting, so I figured this was a great time to take the top out of the WIP pile, and finish it before the New Hampshire winter starts. 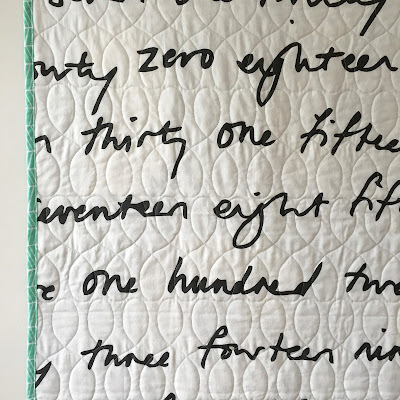 Sarah did a beautiful job quilting Denyse Schmidt-style loops across the top; I'm in love with the texture they created! I inadvertently made a Scandinavian backing for the quilt, pairing a large-scale Marrimekko dot print with a text print from Ikea. 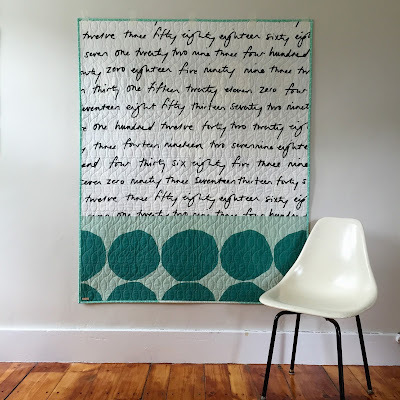 I'm so excited to have finished this quilt---and the final result!---and am looking forward to adding it to the quilt rotation in our house. Do you have any quilt patterns that you love and are hoping to make yourself? I'd love to hear! Finished dimensions: 50" x 61"
Fabrics used include: Various screen-printed panels by Maze & Vale; Essex linen-cotton blend by Robert Kaufman; large-circle print by Marimekko; Britten Nummer fabric by Ikea; and Herringbone in Pond by Joel Dewberry.